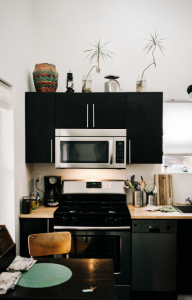 Baby Boomers Address Aging Needs in Kitchen Remodels | Erin Carlyle: As the Baby Boomer generation gets grayer, they’re using remodels as an opportunity to ensure they can remain in their homes as they face new needs that come with their ages. Oftentimes that’s seen in bathroom remodels, but accessibility is coming to the forefront in kitchens as well, with features like better lighting, touch-free faucets, and more ergonomic appliances. Flatpack sofa brands face uphill climb to direct-to-consumer glory | Jeff Andrews: The direct-to-consumer model has been gaining steam as more consumers are open to buying products sight-unseen. However, unlike mattresses, raisers, and glasses, products like furniture may have a more difficult time gaining traction, due to difficulty with undercutting the competition on margins and rising costs of advertising on platforms like Instagram. High-End & High-Tech Comfort In Every(!) Room Of The House | Stewart Wolpin: As consumers get more comfortable with smart technology in their homes, we’re starting to see products for more private parts of houses. Particularly, we’re seeing products designed for the bathroom, from mirrors that help guide morning routines to toilets that flush themselves to showers that set themselves to consumers’ preferred temperatures.